I realize that the word ‘bran’ doesn’t exactly scream naughty deliciousness and a bran muffin probably isn’t the first food that comes to mind when you’re craving a treat. But trust me – these muffins are really, really good. 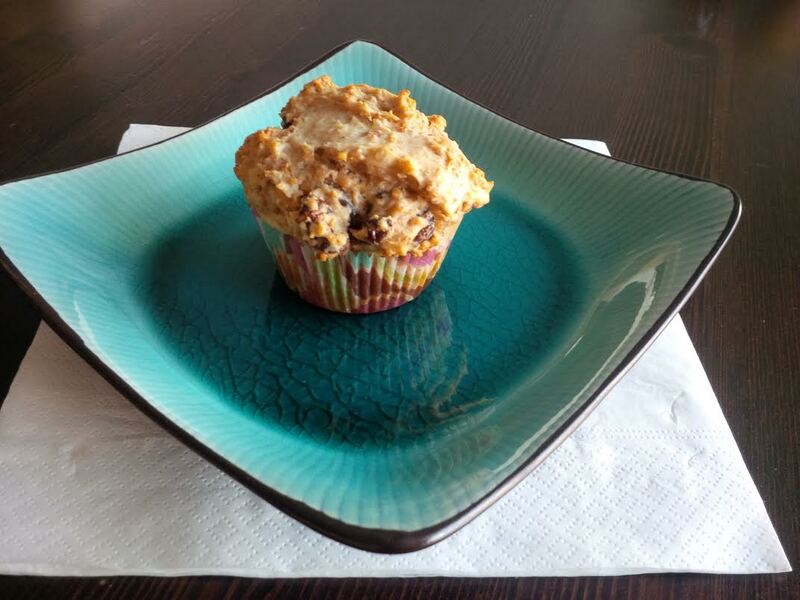 Can’t a muffin be healthy-ish and tasty at the same time? Yes, I think it can. As an added bonus, my boys and any other kids that have ever tried these muffins absolutely love them. Last year, Fin had to complete a questionnaire with his teacher at the end of Kindergarten. When she asked him what his favorite part of Kindergarten was, he said ‘the muffins that my mommy puts in my snack’. He was talking about these muffins. I’m not sure whether she was too happy that he didn’t say something about school, like learning to read or singing songs, but I was glowing. This recipe was passed down to me by my mom (Nana) and I always like to make a batch when she’s coming to visit. I hope you like them. Place muffin liners in a muffin pan. Mix together raisin bran cereal and milk in a large mixing bowl. Let sit for approximately 5 minutes to let the cereal soften. Once softened, add in the egg and oil. Beat well. Stir in the sugar and combine. Then add the salt and baking powder and mix well. Gradually add the flour and stir until completely mixed in. Add raisins and mix until evenly spread throughout mixture. Portion batter evenly into 12 muffin cups. Bake until muffins are golden brown and spring back when touched (approximately 30-35 minutes). Makes 12 muffins.